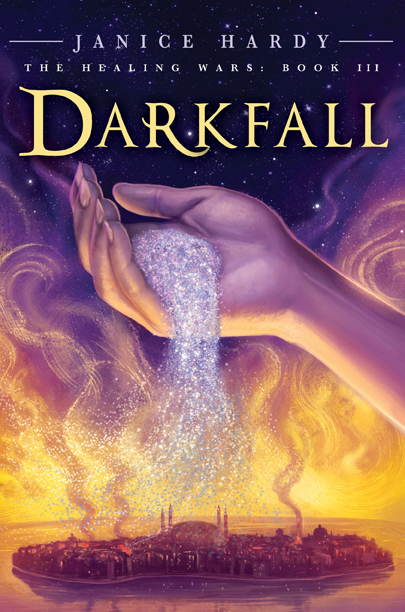 First off, let me say how flattered and thrilled I am to see how many folks left a comment to win the Darkfall ARC. It makes me pretty darn happy to know you guys want to see how Nya's story ends. If I had 50 copies to give away, I would, but I only get so many. Congrats and way to go. E-mail me your contact info a janice at janicehardy dot com and I'll send out the ARC. If Brittany vanishes off the face of the Earth and I can't get in contact with her (it happens) I'll choose another number and contact that person. Launch Party! *drools* I will request off work NOW! I need to go pre-order a copy on Amazon. Ooh, thanks Janice! I'm so excited to read it! :) And I'll go e-mail you my contact info. Great cover! I'll bring Hannah (my daughter who loved The Shifter). Looking forward to your launch party. Congratulations Brittany. The launch party sounds great. Pity I'm several states away. Congrats to the winner. Wish I lived close enough to go to the release party. I'll sadly be gving away my ARC ehen I interview you in October. I loved the book! No, thank you... and congrats to the winner!